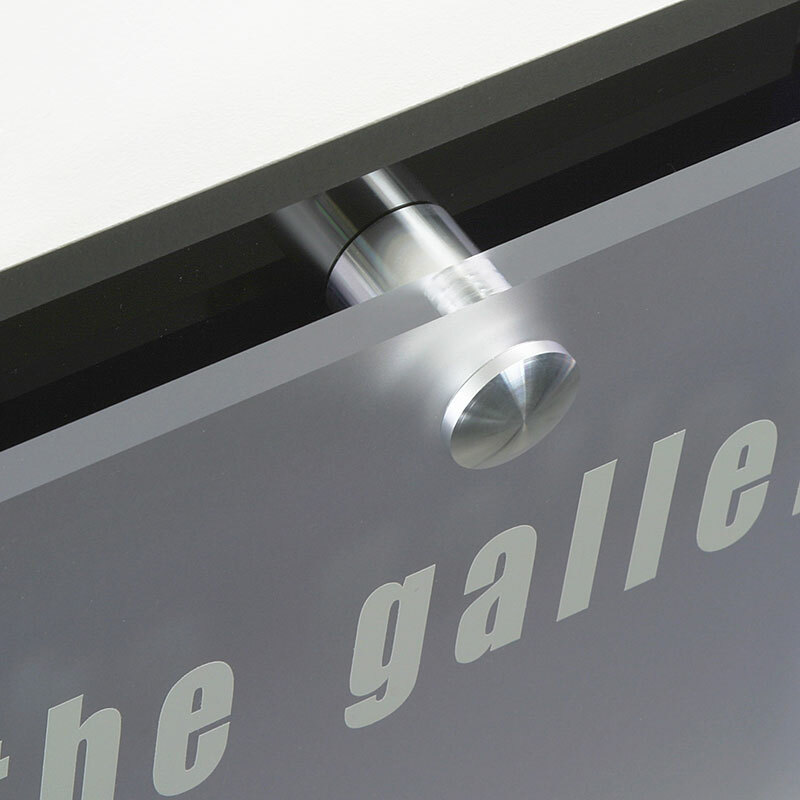 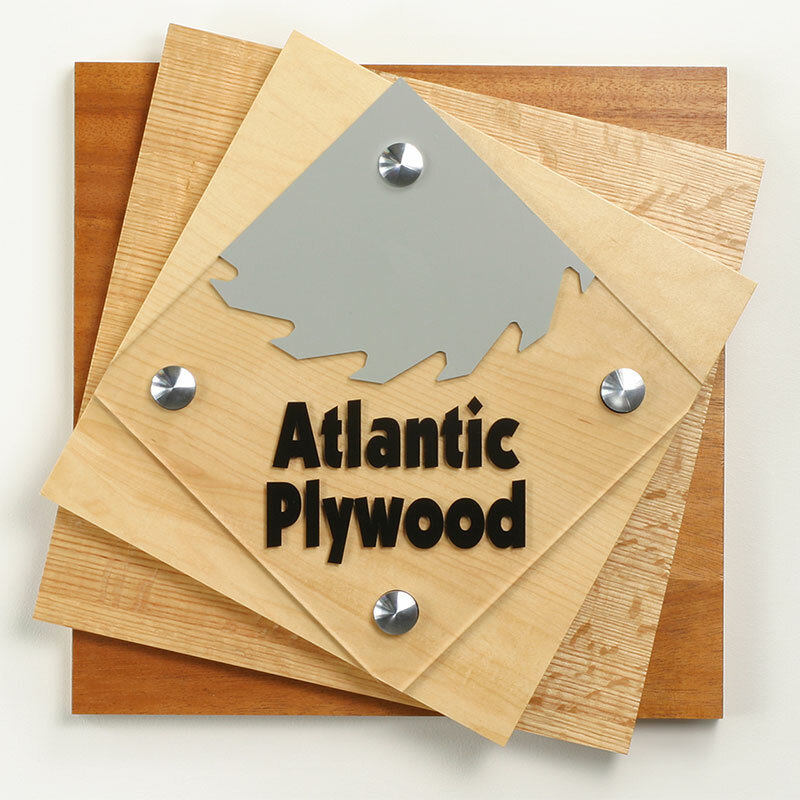 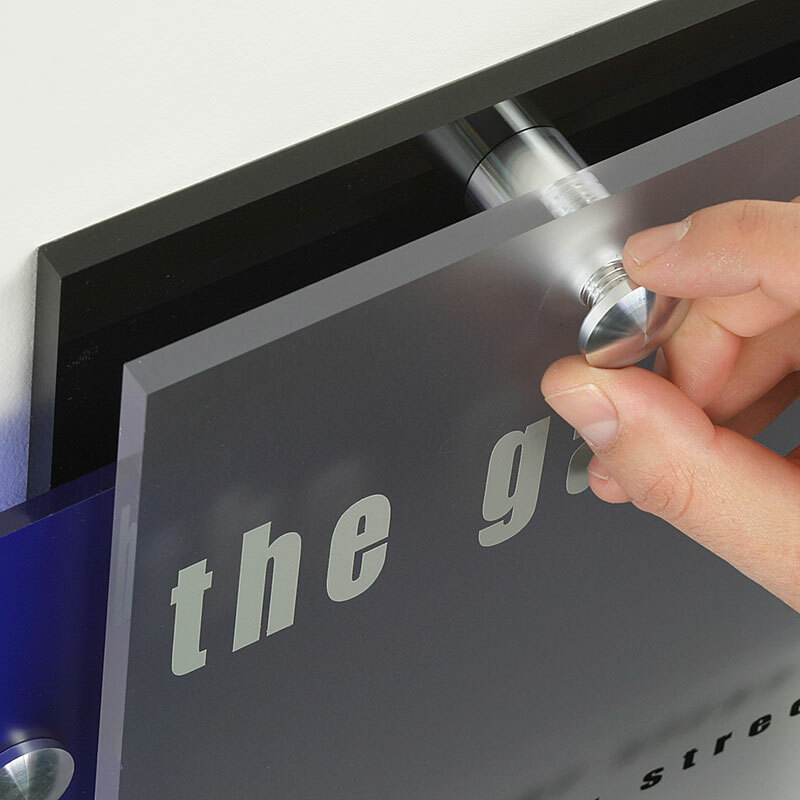 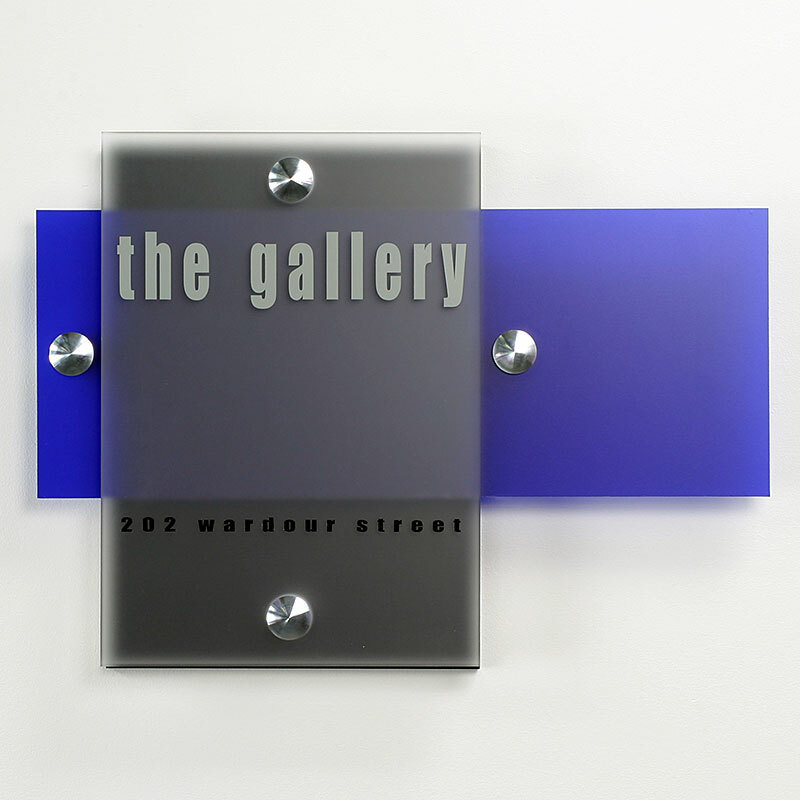 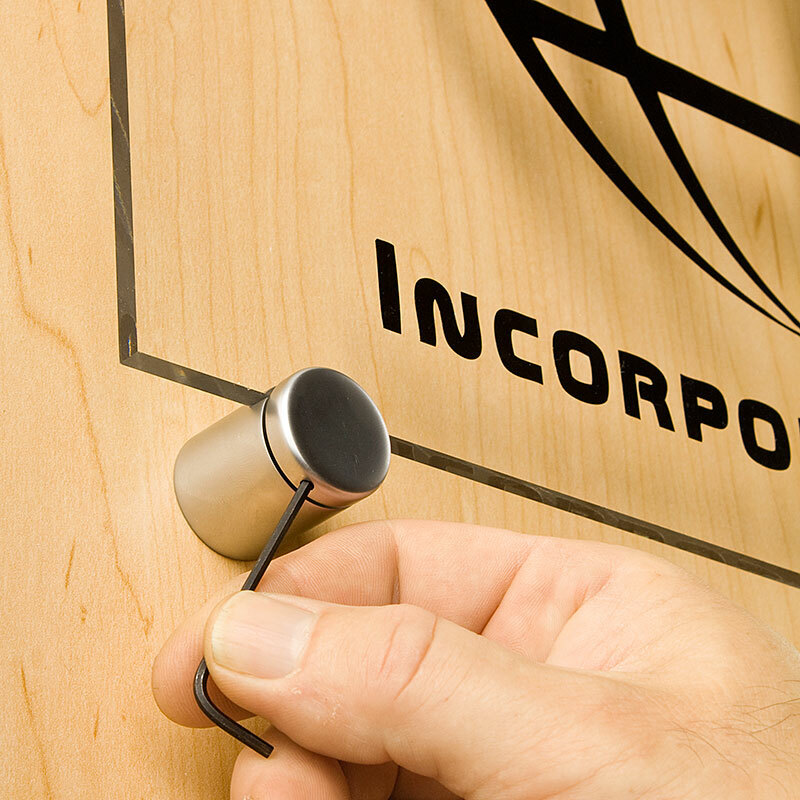 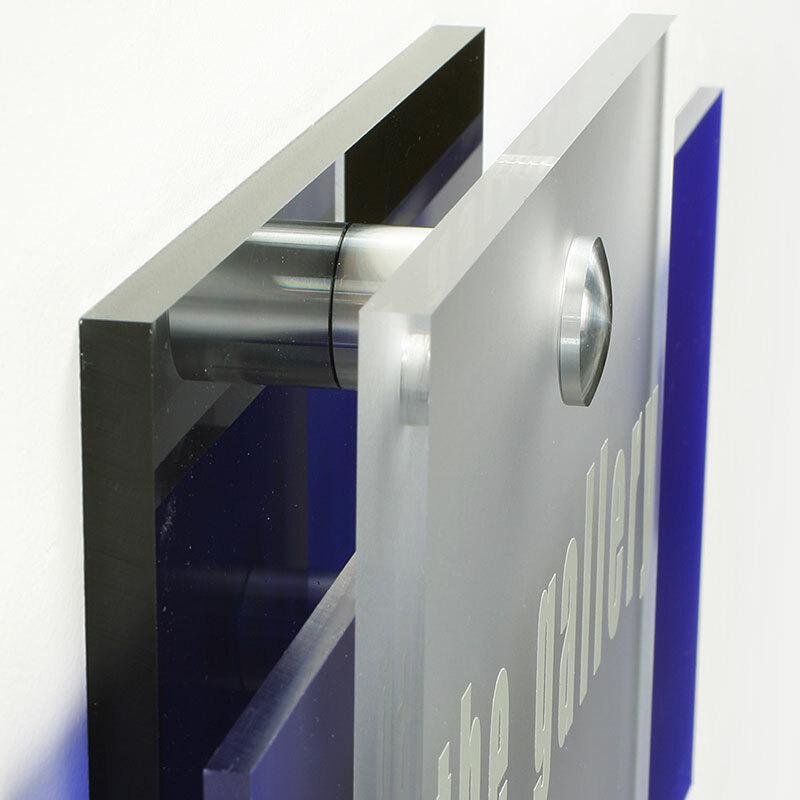 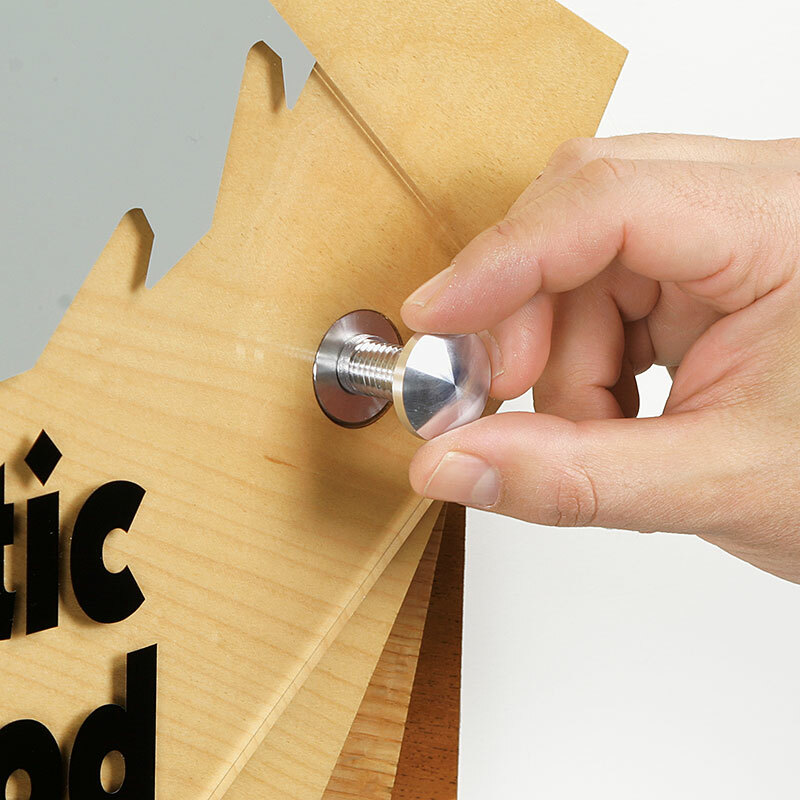 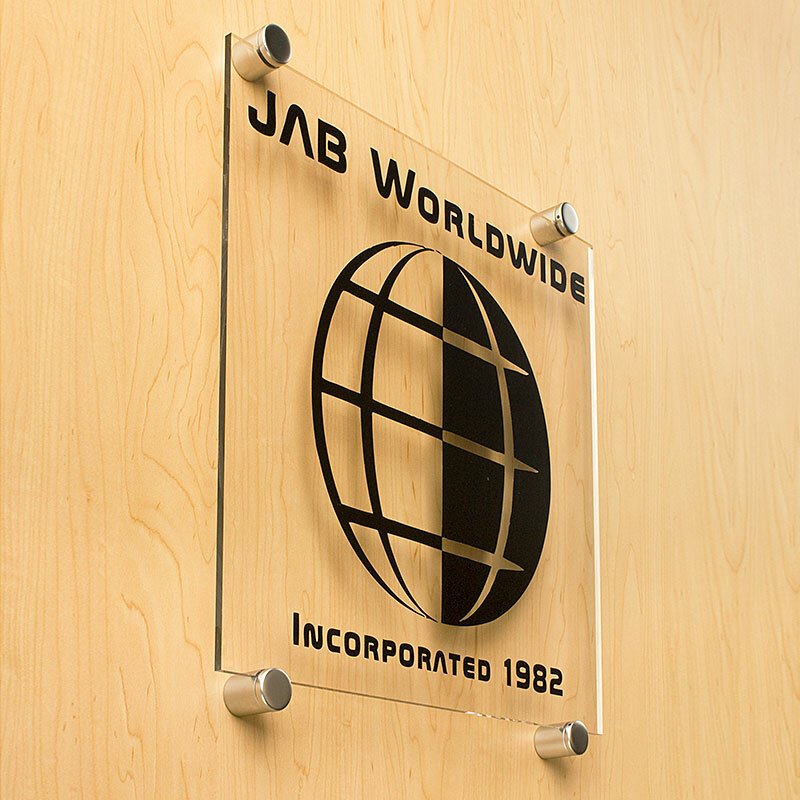 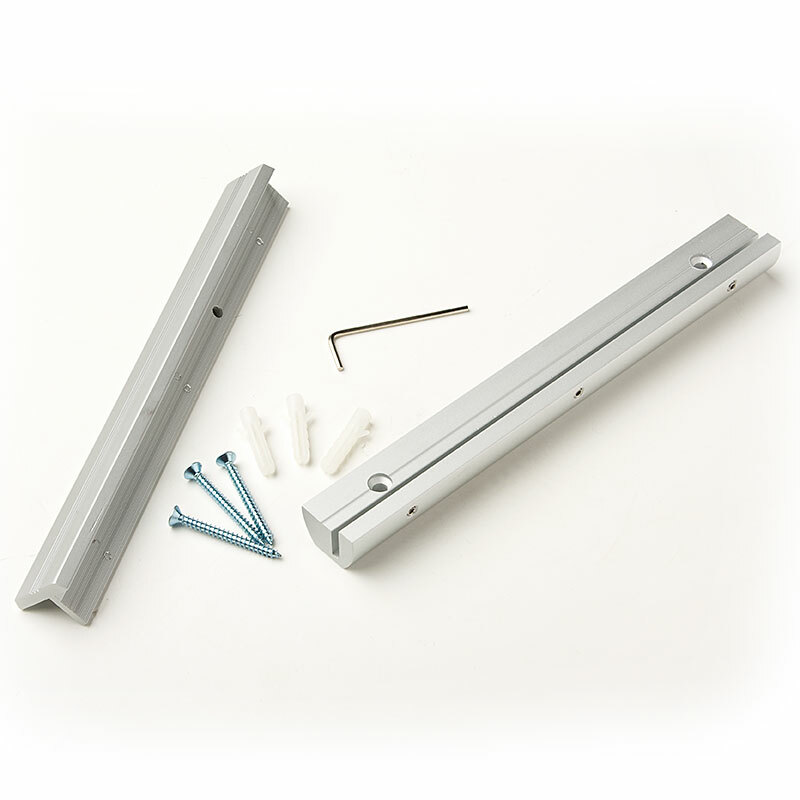 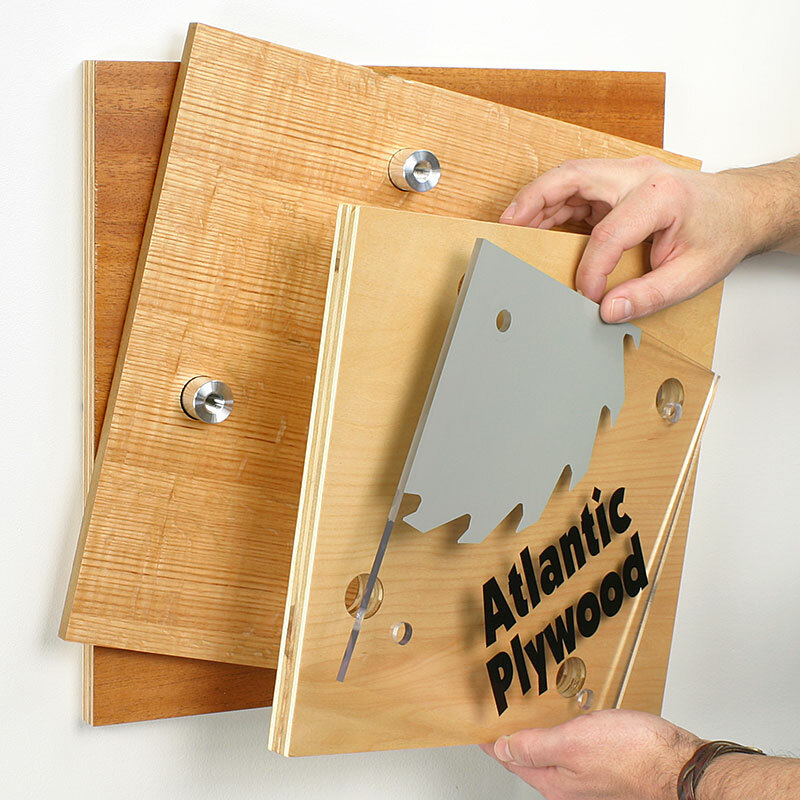 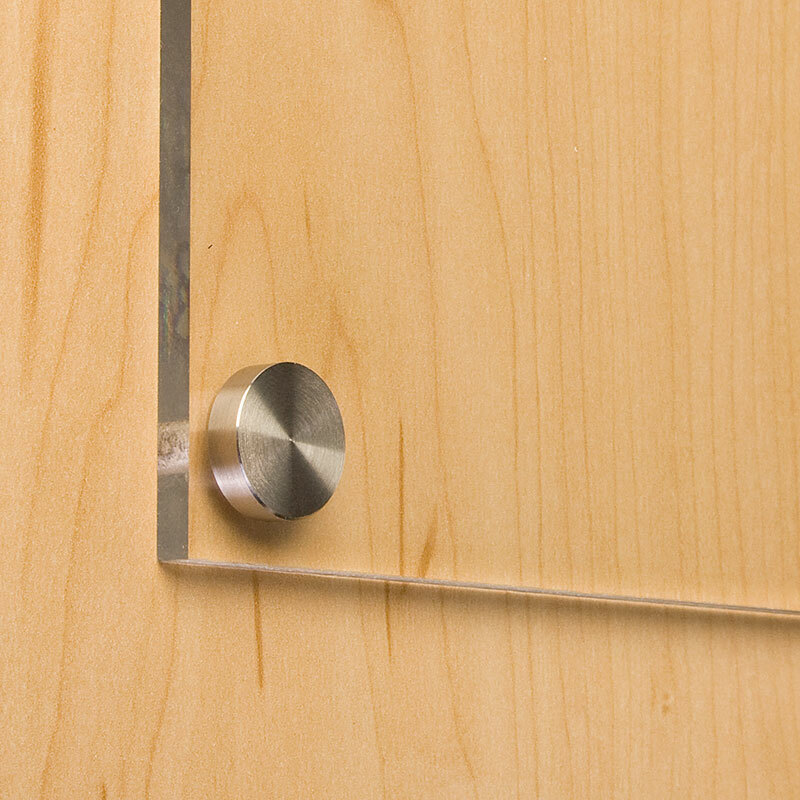 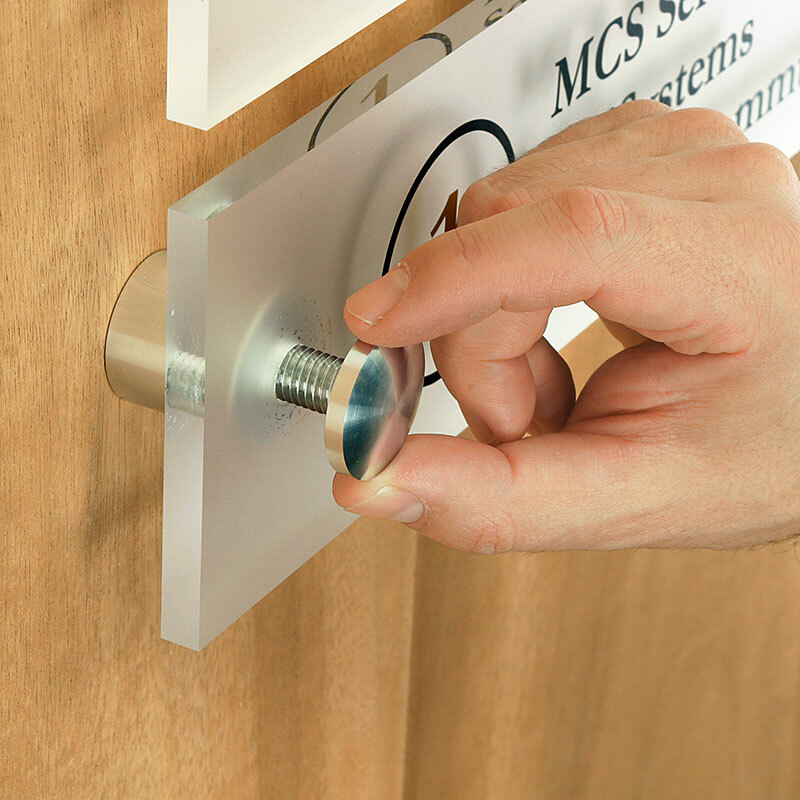 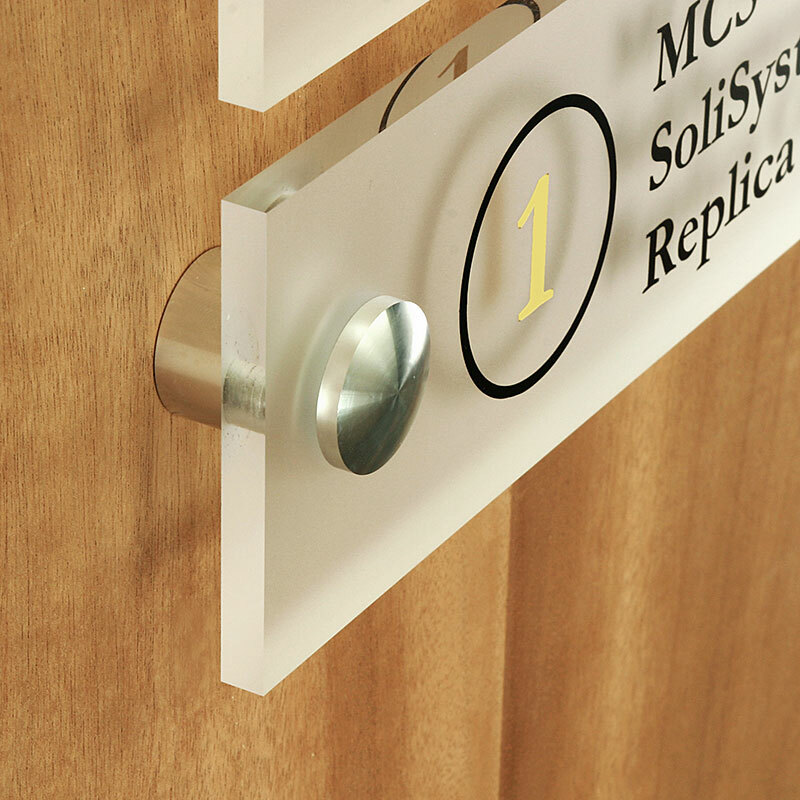 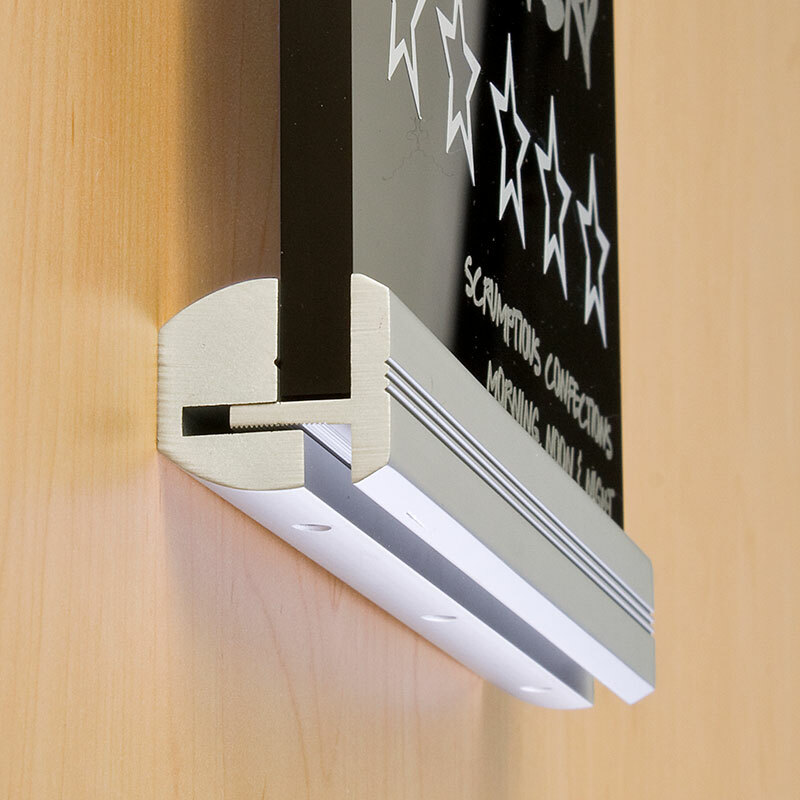 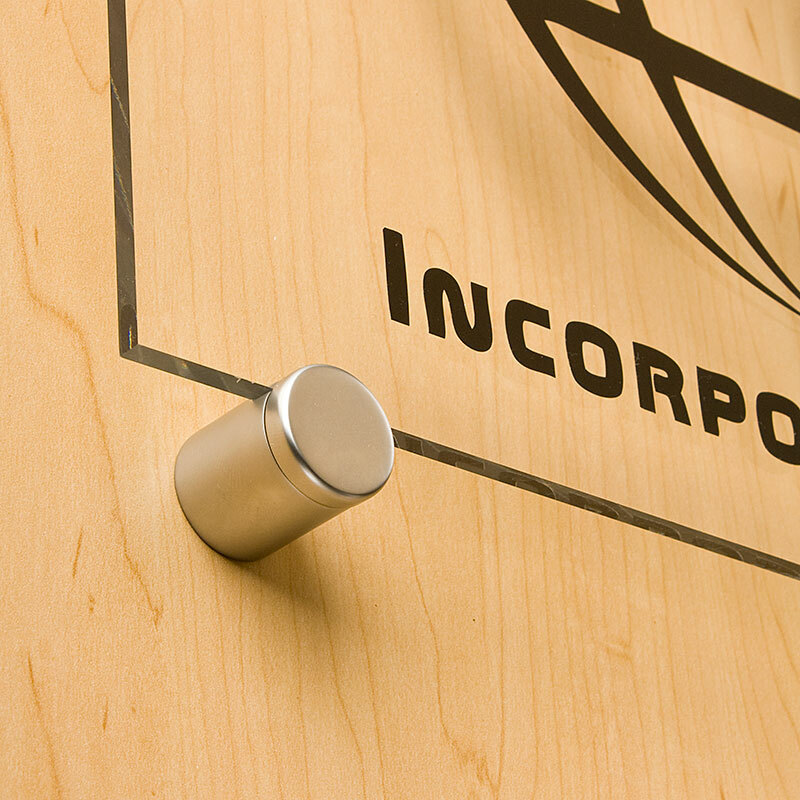 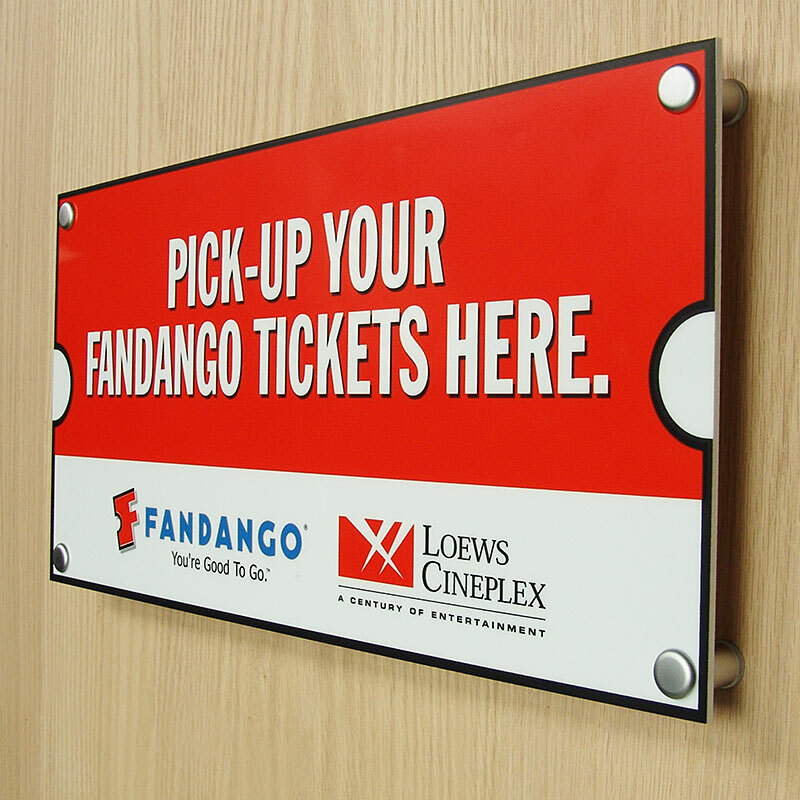 Many sign designers know and use sign standoffs for their interior installations. 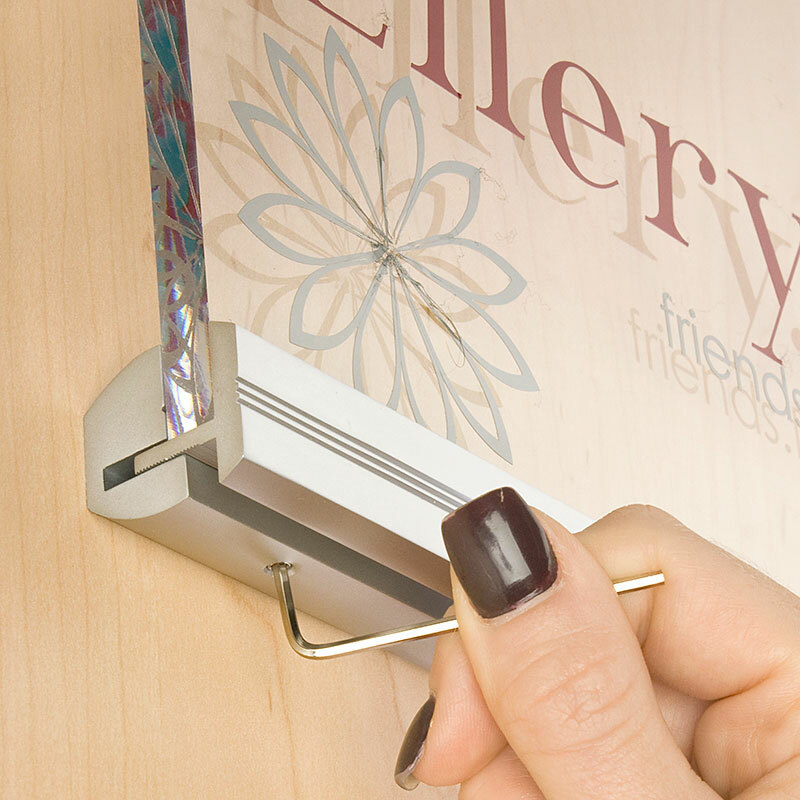 While they can count on skilled installers for the job, it's the rest of us that may need a one-time tutorial when tackling a wall-mounted sign panel. 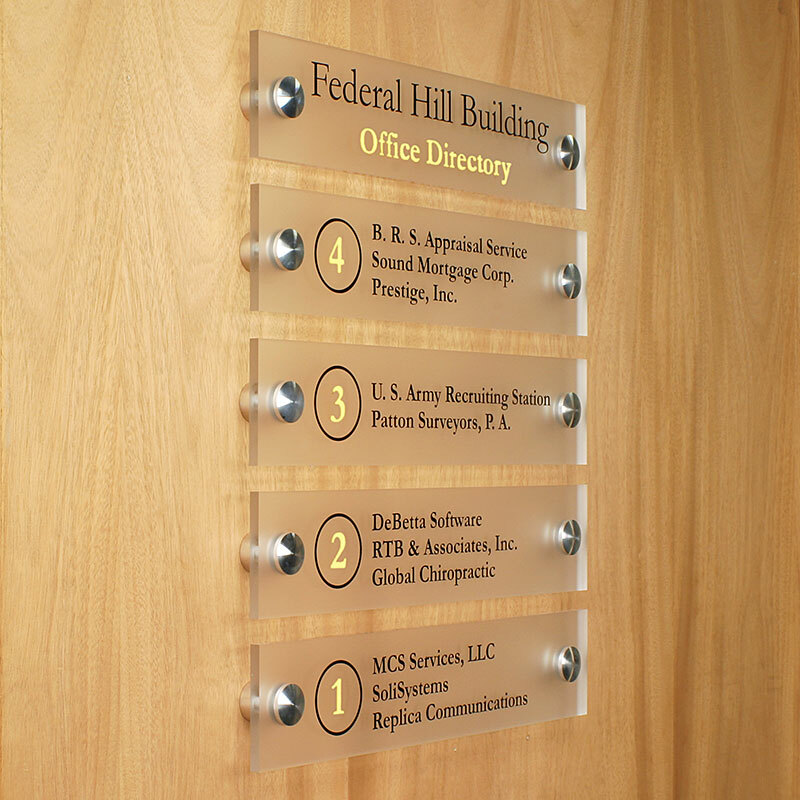 In this case we will use the standard style standoffs that require holes drilled through the sign panel. 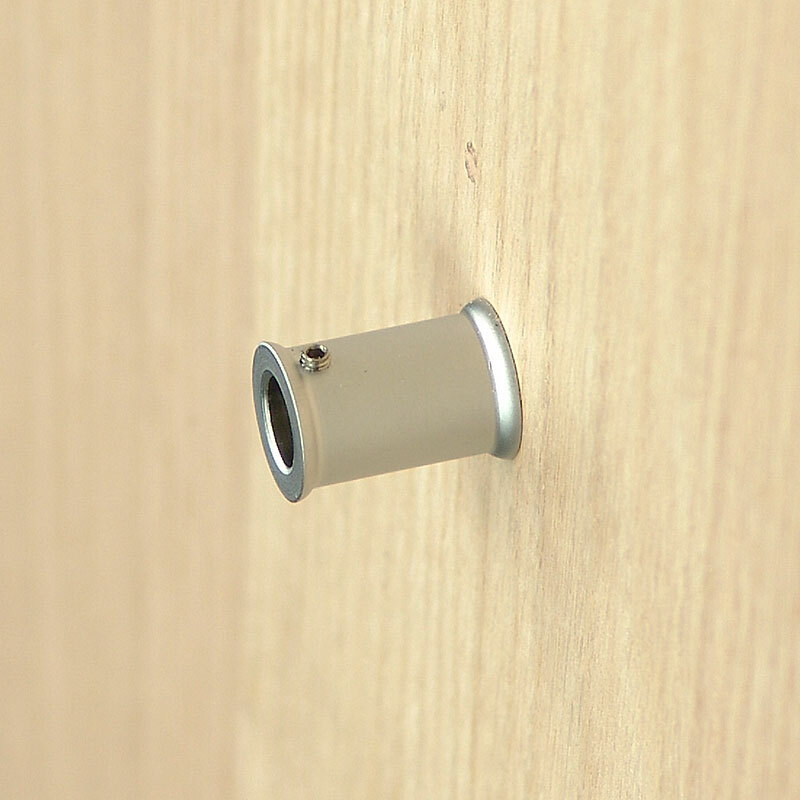 This is perhaps the most important part of the installation: locating said holes. 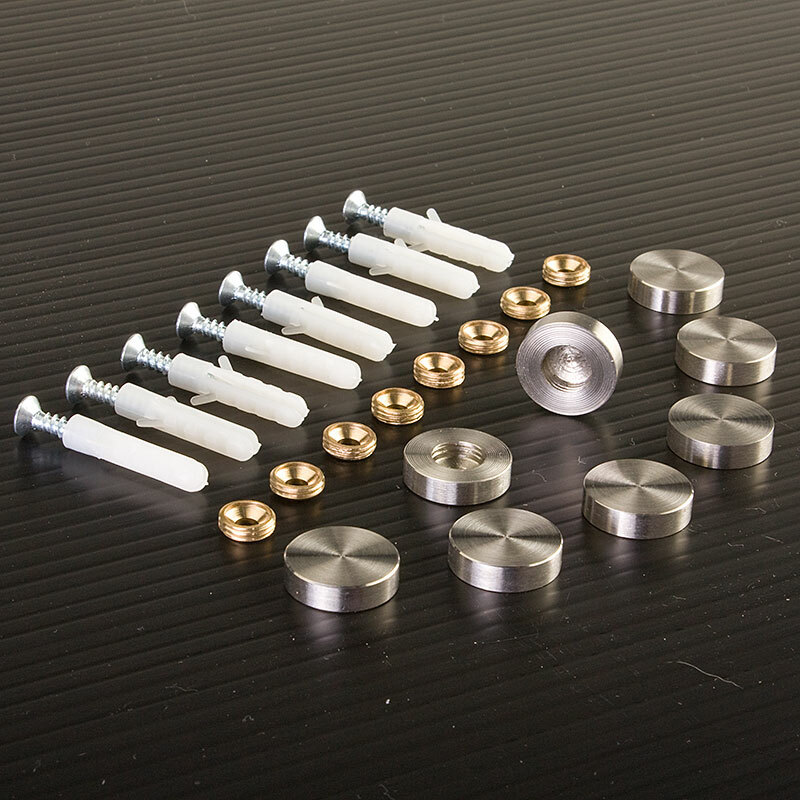 Standoffs come in many different diameters. 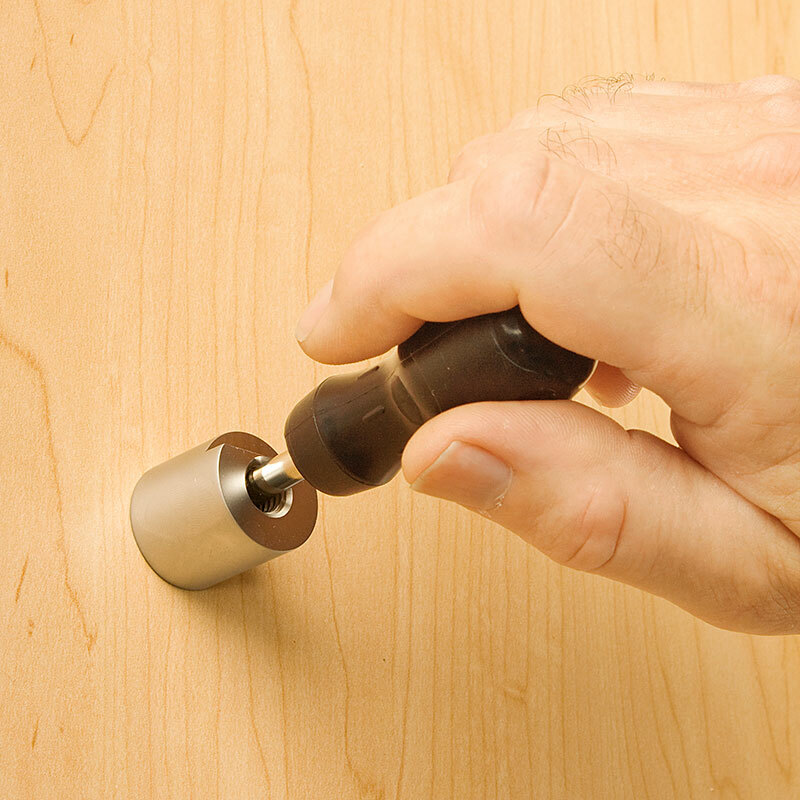 The models sold on this website alone range from 1/2" up to 1-1/4" wide. 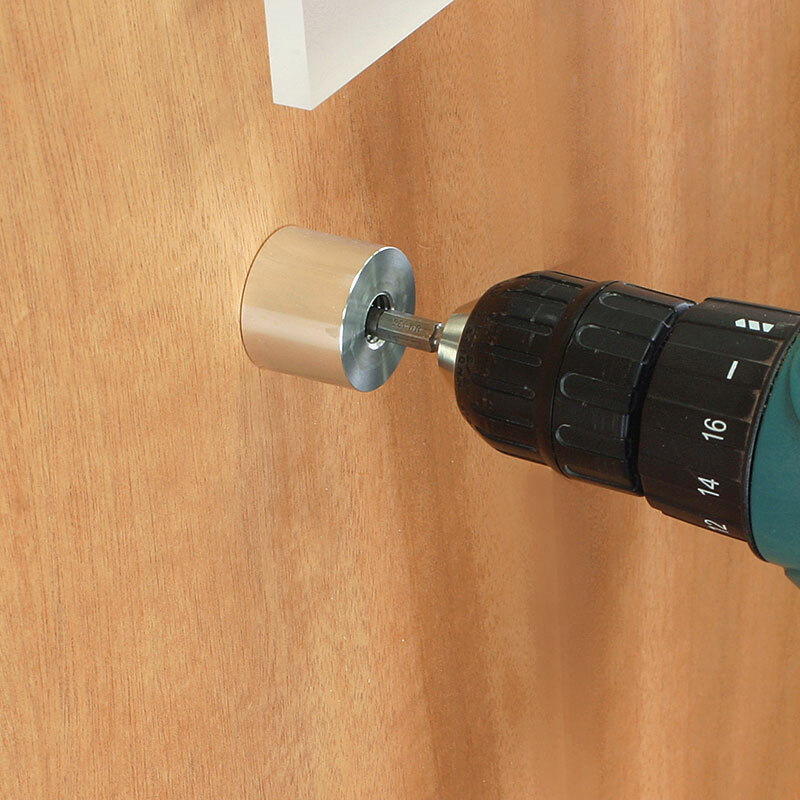 For the installation to look good, care must be taken when choosing the spot to drill your holes. 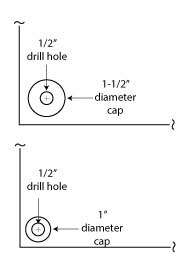 As shown in the graphic at right, a small diameter standoff will be closer to the corner than a larger counterpart. 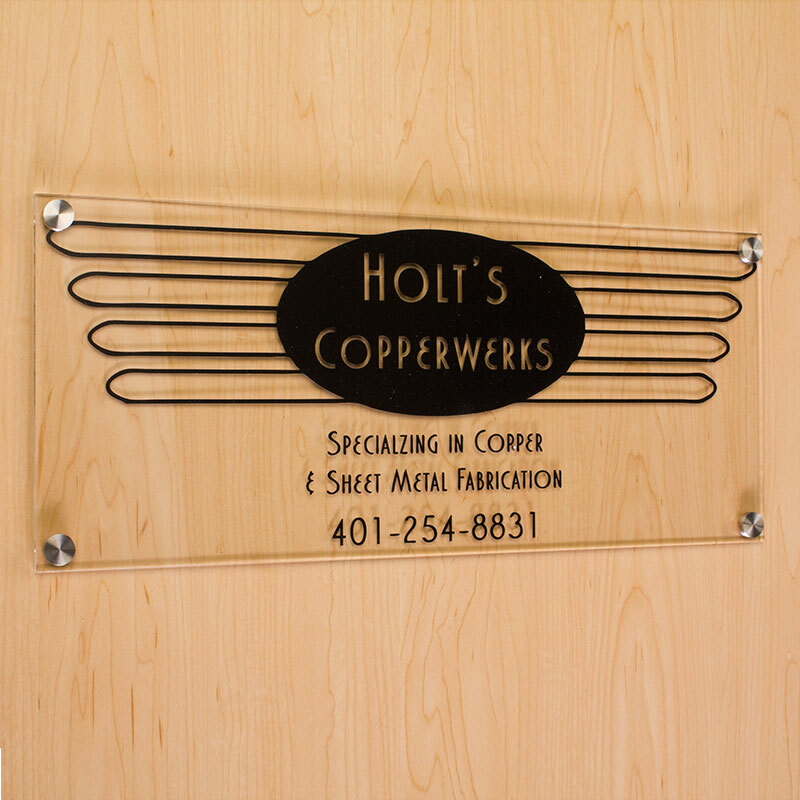 The bottom line is you don't want to drill your holes before confirming the standoff cap will be in a favorable position relative to your sign panel. 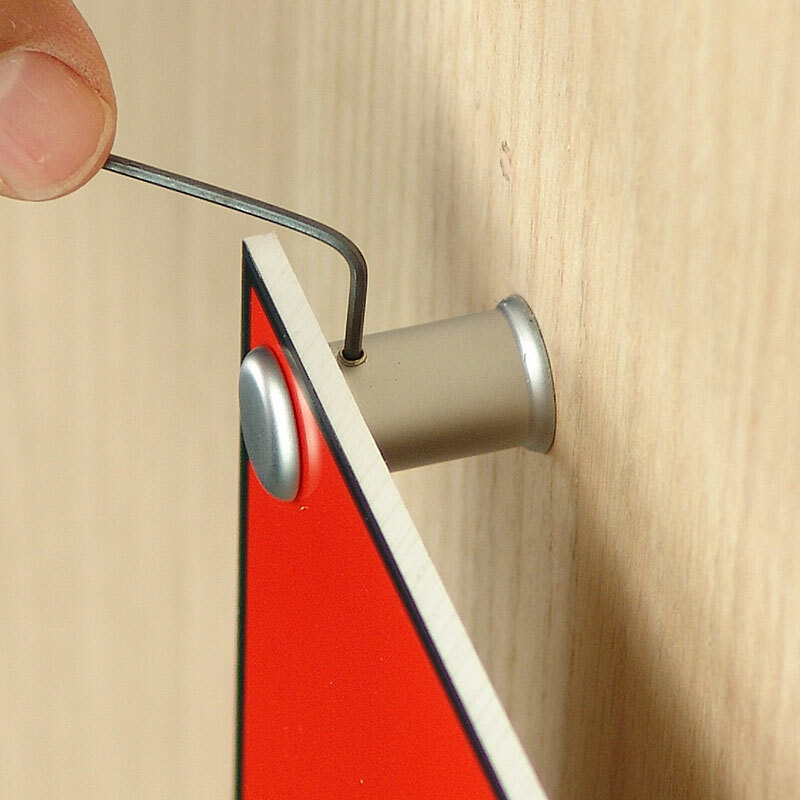 You only get one shot at this. 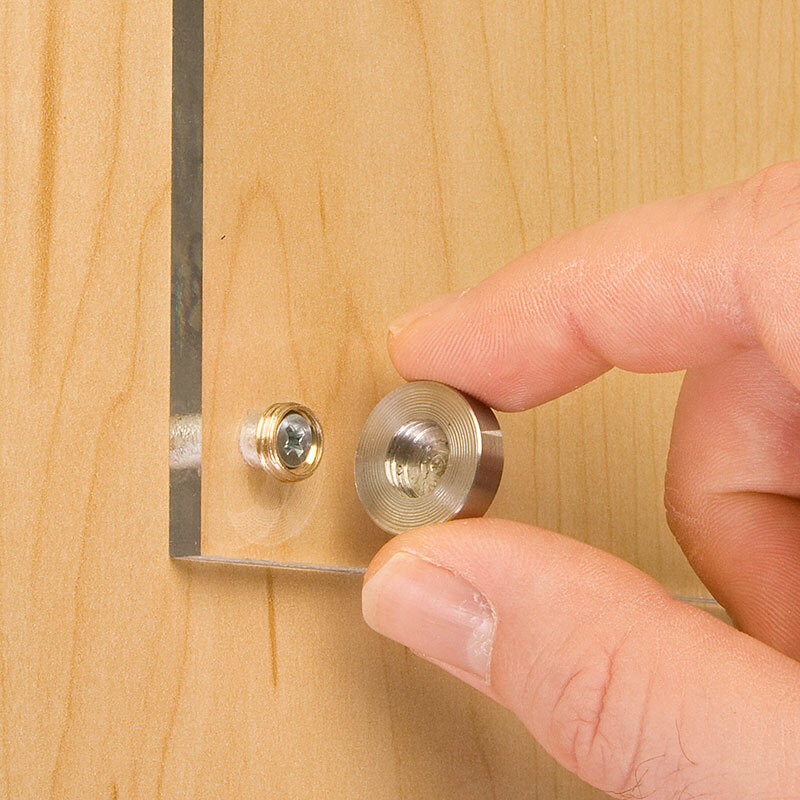 Once hole selection is verified, you can go ahead and drill the holes through your panel (sized for the threaded part of the standoff to pass through). 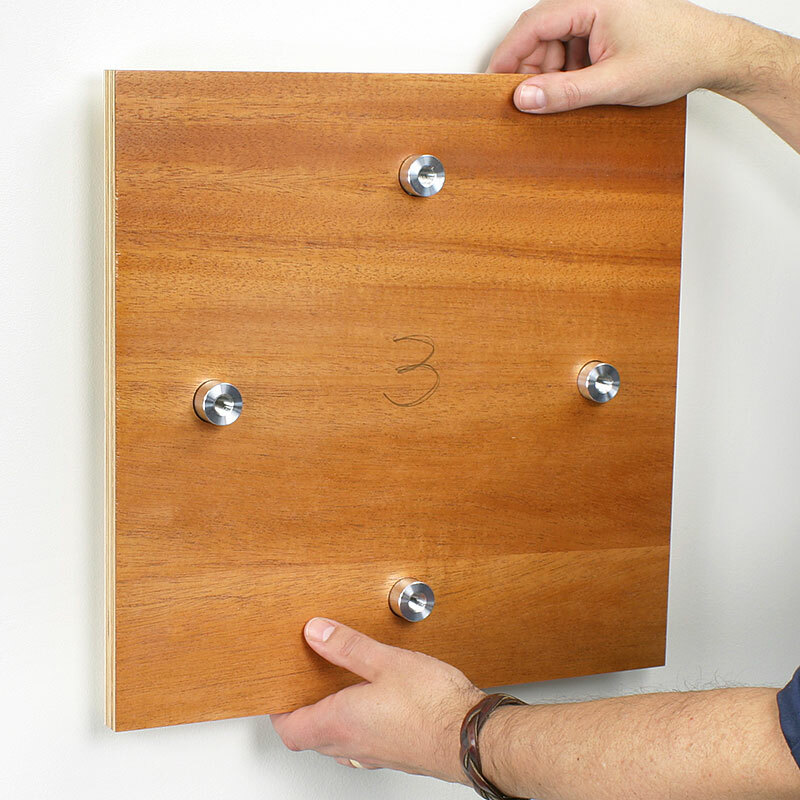 Next step is to hold the panel onto the wall and make sure it's level. 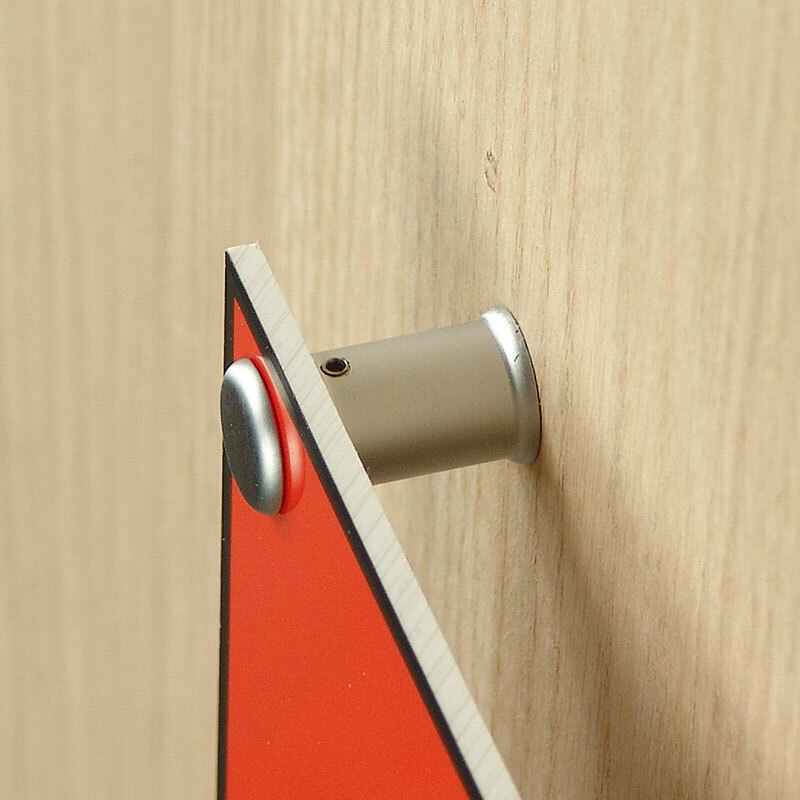 Scribe the hole locations with a pencil. 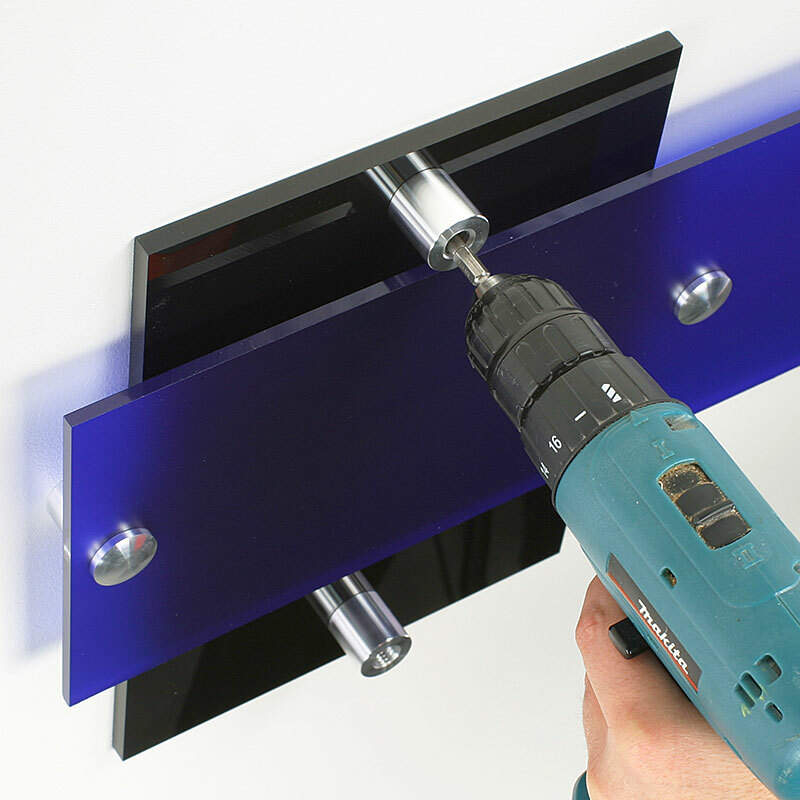 Now drill the holes in the wall for the screws. 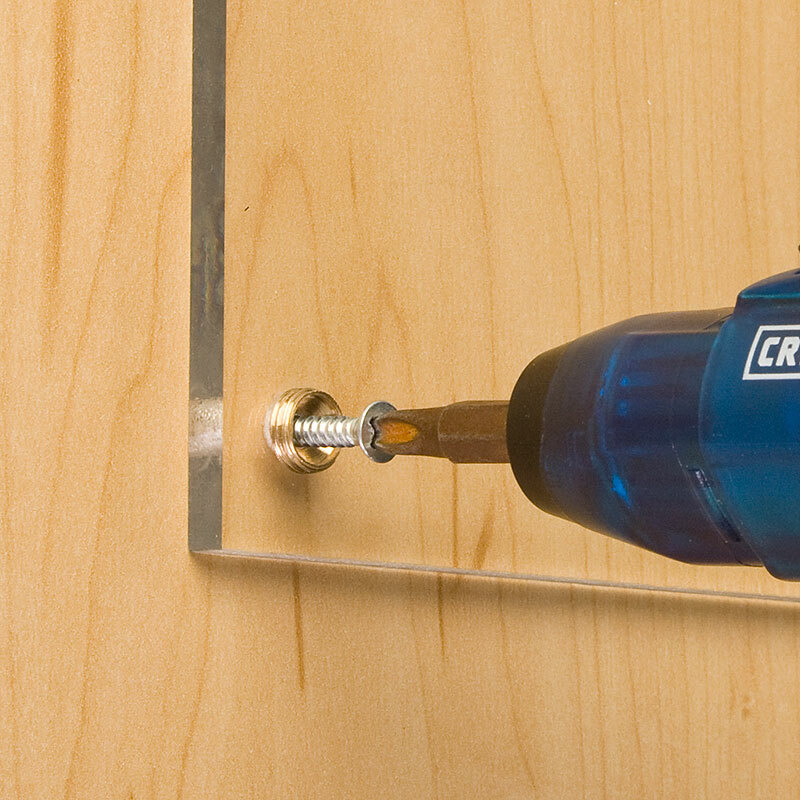 Walls can be made of brick, wood, plaster, or sheetrock, so choose the right drill bit size whether it's for screws only or to account for wall anchors. 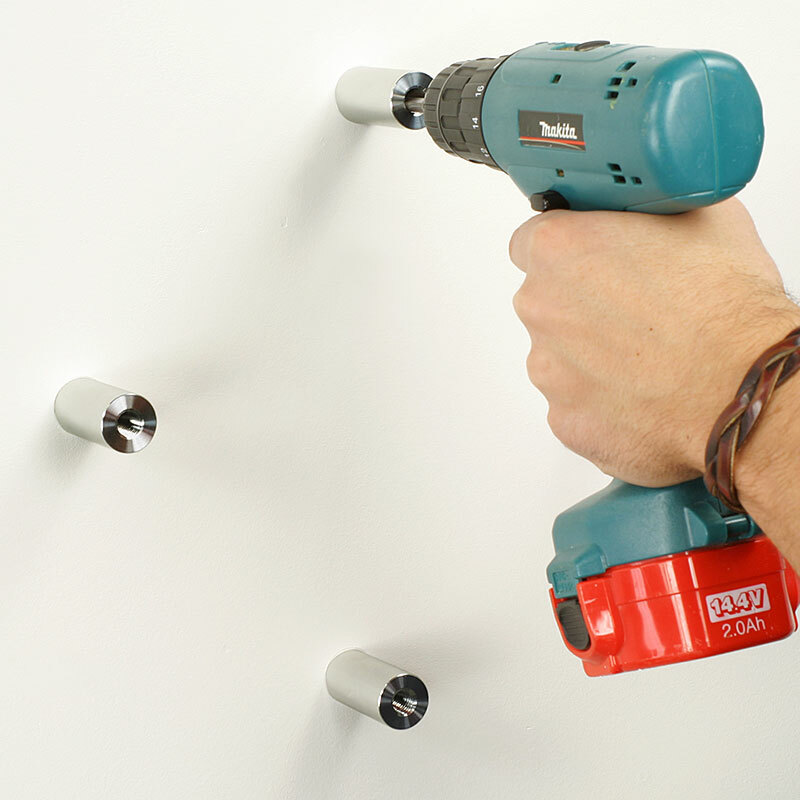 Insert the screws into the four standoff barrels and tighten them to your wall. 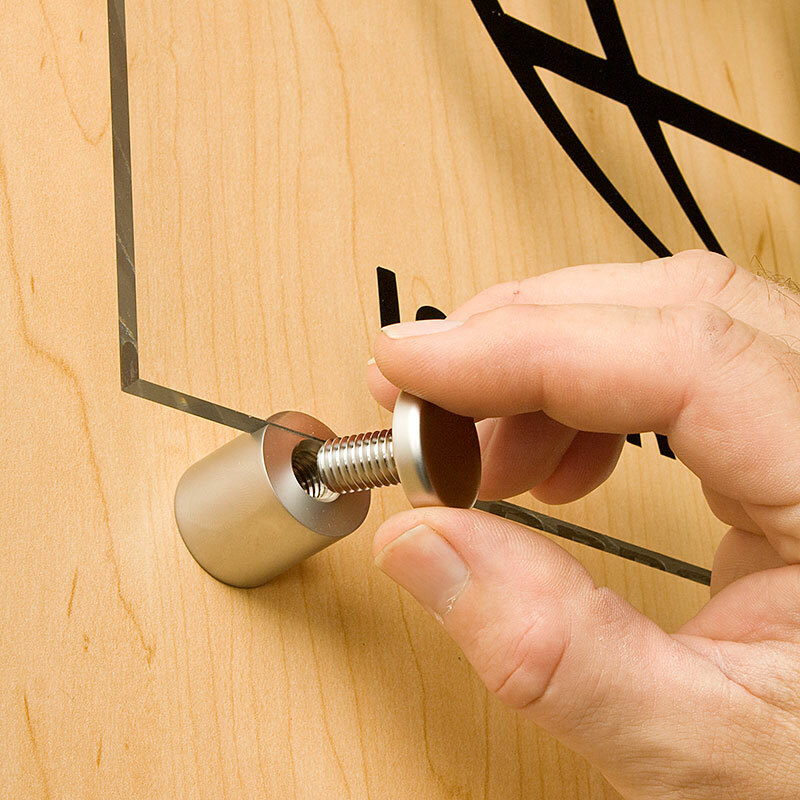 Hold your sign panel onto the barrels and insert the caps through the panel's holes and into the barrels. 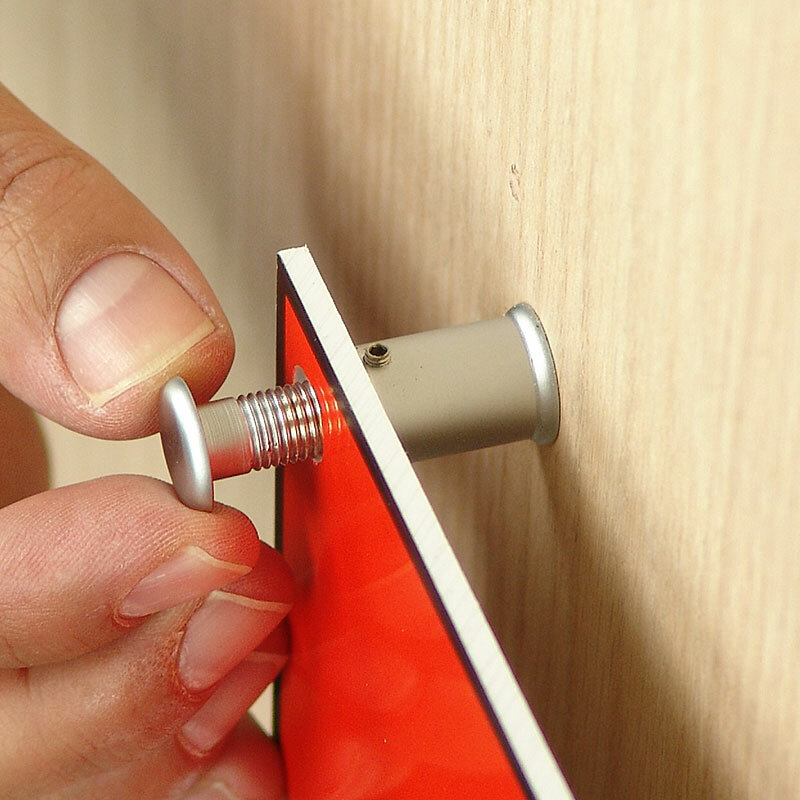 Hand tighten to secure.